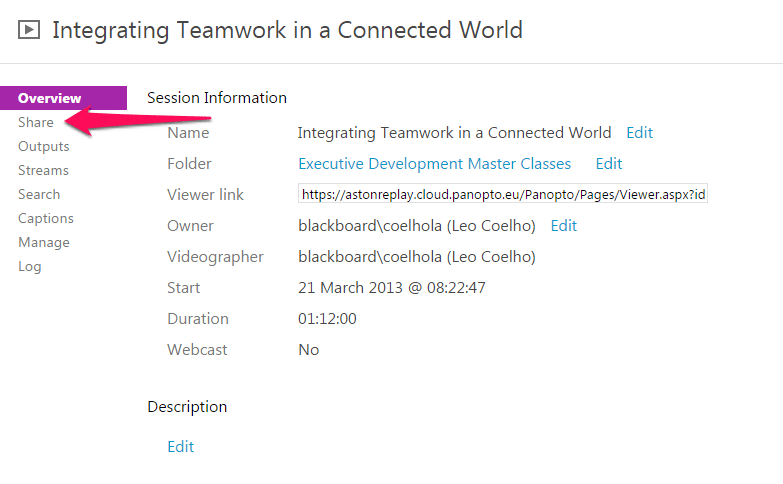 Click Settings next to the session you want to embed – note that the settings link will only appear when your mouse cursor is hovering over the session. 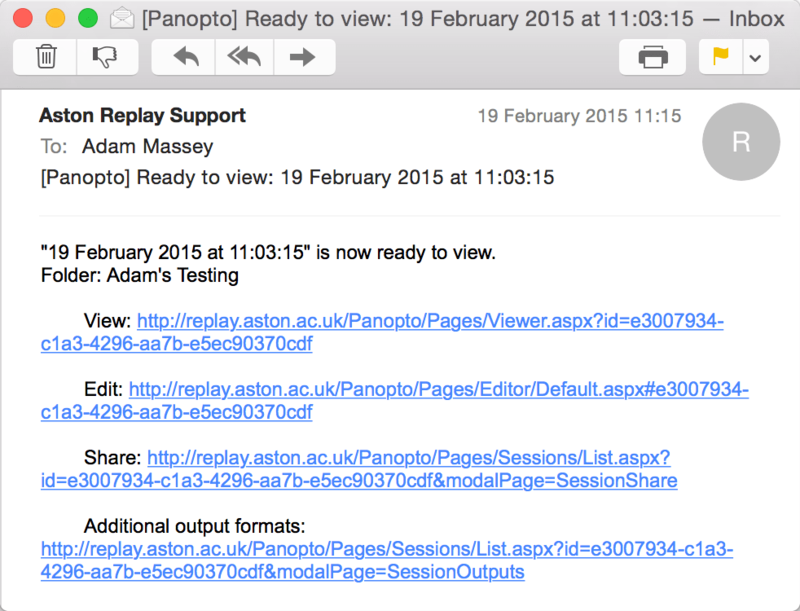 When a session is processed and available for viewing, you will be sent an email. Click the HTML once – this will automatically highlight the code for you, to save you selecting it yourself. You are in full control of who you share your sessions with. Either anyone on the internet, anyone at Aston University (staff and students), or named individuals. Read more about sharing settings.